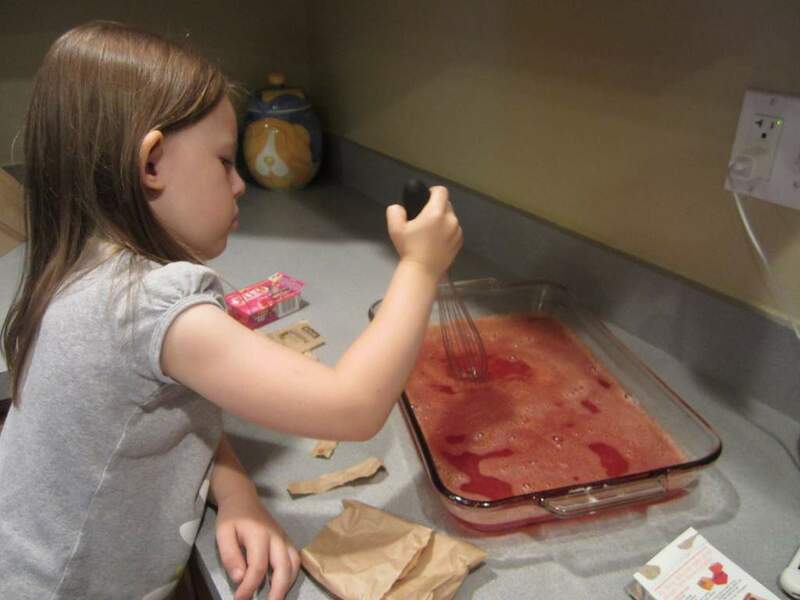 This time for our Frugal Family Fun activity, the kids and I made some fun jello cubes that I saw on Women Living Well last week. It seemed like an easy job for my littles ones, and something that would be fun for them to eat. It seems, however, that our streak of bad luck has followed us, because we had a little mishap that almost ruined the fun. This time, it was my little boy who was grumpy and didn’t want to participate. His sister was more than happy to do all the pouring herself. I heated the water in the microwave to boiling, then poured the water in a slow stream into the pan while my daughter stood by with the whisk, ready to stir. Somehow a little bit of water splashed up off the dish and onto her arm, burning her a bit. We immediately got some ice and put it on the arm. It must not have been too bad, thankfully, because after a few seconds, she wanted to stir again. 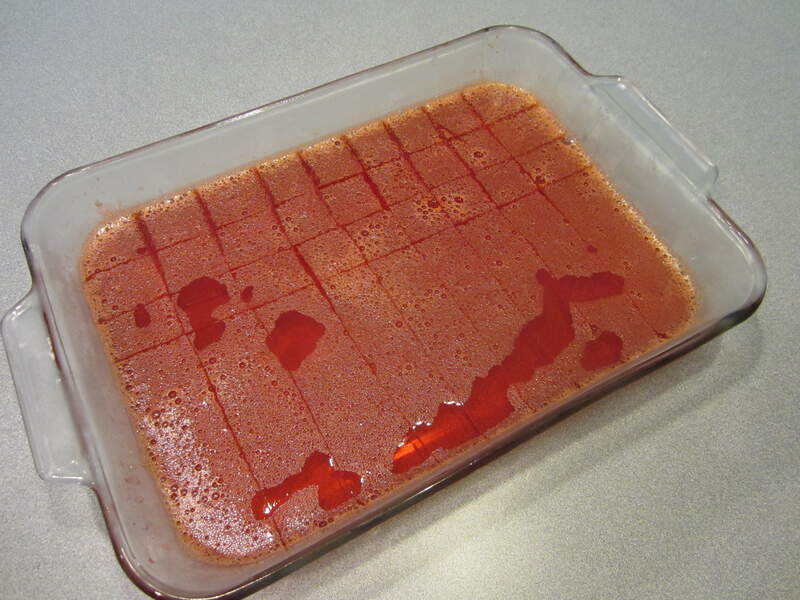 After the gelatin was totally dissolved, we put the pan in the refrigerator overnight to set up. 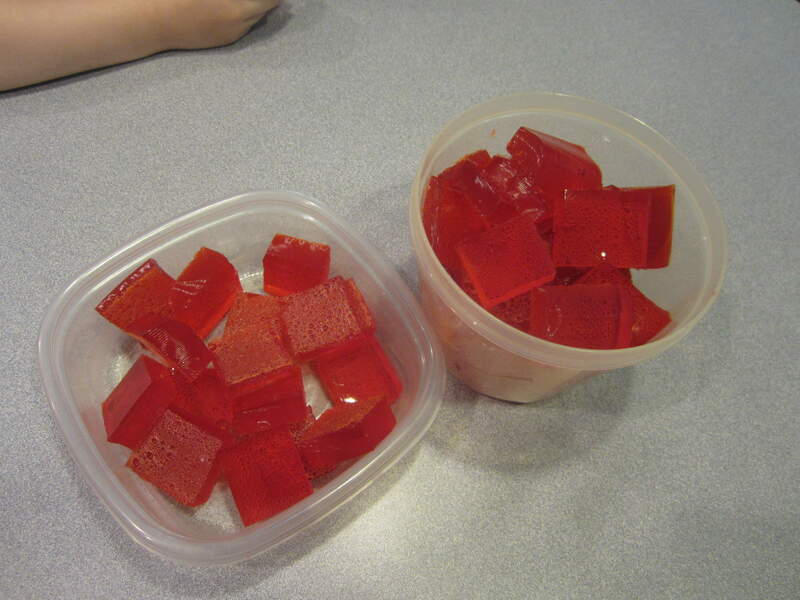 This afternoon we cut the jello into cubes and had some with our lunch. What kind of family fun are you having this week? Looks like the kids enjoyed eating these. I think jello cubes are really good. 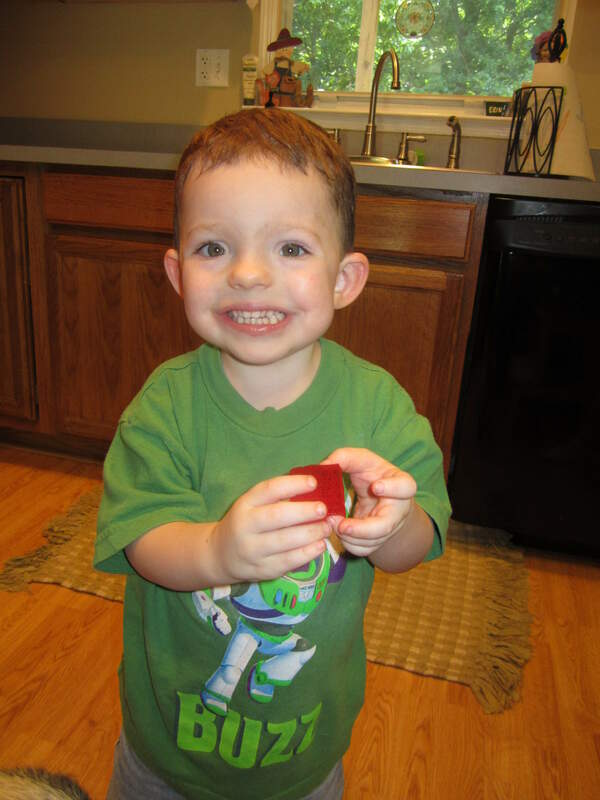 My kids make all of our jello around here. They would enjoy these too, we may have to make these soon. Thanks for sharing Erin. It looks like the kids really enjoyed that activity. 🙂 We are having as much fun as we can have over here with a sick baby…..Elisabeth is still not well, and she is constantly needing to be held today, more than usual. The Lord is giving us grace through it, though, and I’m hoping she’ll be feeling better tomorrow. I hope she is better today Sandra! I remember how hard it is to have a sick baby, who can’t tell you what’s wrong 🙁 Hang in there and I’ll definitely say a prayer for you and Elisabeth! 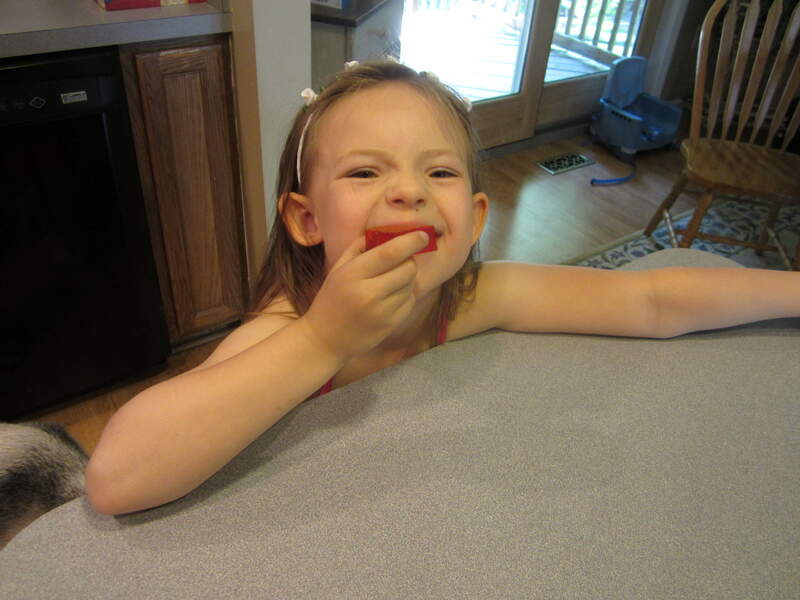 Jello is so fun! 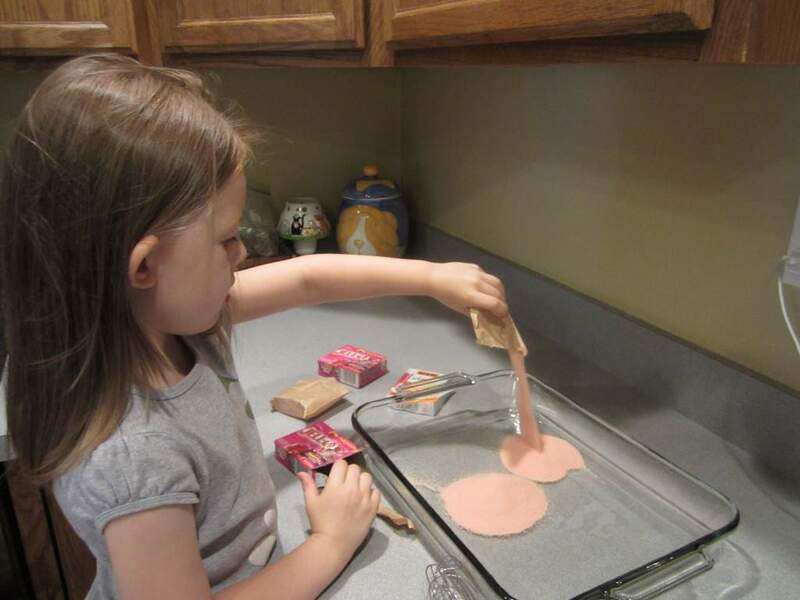 What a great, inexpensive way to have fun with the kids. Thanks for sharing!